Freelancing is a thrilling jungle. And after a project or two, most freelancers realize they need protection from the slings and arrows of unwarranted assumptions, misremembering, scope creep, and other project hazards. 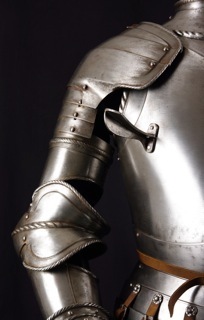 Thus, a well-designed contract is the freelancer’s armor. So here’s advice from the Freelance Heroes thread on how to create a contract for your e-learning projects. Defining out-of-scope items is particularly important, as many clients tend to think that you are at least somewhat responsible for All Things E-Learning. Do you want to bear the burden of troubleshooting LMS issues that may arise? If not, you’ll want to put that in the out-of-scope items. What about playability issues on mobile devices? Thread contributor Kevin Thorn suggests that you create a separate contract for courses that deploy to mobile devices, as they are a different beast altogether. To help sort out your desired scope, consider the worst-case scenario for your project, and what you want to be responsible for in the unlikely event that it occurs. When it comes to pricing out your project, some clients will want you to be a magician and give them a hard price on a project that’s as well-defined as a bridge made of Jell-o®. In cases like these, thread contributors Holly McDonald and Sheila Cole-Bulthuis suggest you have a two-part contract: one devoted to figuring out what type of course may be appropriate, and another devoted to building the actual course. Another option might be to offer a price range. All this is not to say contracts have to be long and complicated. The examples below show that’s not the case. Most likely, you and the client will go back and forth on the contract document, making changes to the contract that you both can accept. Take your time as you negotiate terms. As Peter Block mentions in Flawless Consulting, freelancers have the most influence on a client during the contracting stage. So push back where you need to do so. As important as contracts are, your relationship with the client trumps all. I’ll be discussing some best practices for maintaining the client relationship in the last installment of the Freelance Heroes series next week. http://lawdepot.com and http://legalzoom.com have boilerplate contracts created by lawyers that you can use for a small fee. As a developer, the most difficult part of our contract is when a client cancels it at the time when project is about to complete.